Wine and food experiences have become the new raison d’être of the travelling set. But why wait till you arrive at your destination to imbibe? Many airlines, these days, are putting enormous effort into choosing the wines they serve in first, business and, yes, also economy class. Alongside culinary advisors drawn from some of the world’s best chefs, many of the major carriers use panels of wine experts to blind taste thousands of wines in order to curate interesting offerings to be savoured at 35,000 feet. And they take their jobs very seriously. As a trailblazer in the luxury Asian market, Singapore Airlines is committed to pouring wines with strong pedigrees from the world’s great wine regions. Their international wine panel is made up of Michael Hill Smith, co-owner of Adelaide Hills’ Shaw and Smith winery and the first Australian Master of Wine; London-based Steven Spurrier, chairman of the Decanter World Wine Awards; and Harvard-educated, Hong Kong-based Jeannie Cho Lee, the first Asian Master of Wine whose Asian Palate is one of the world’s best food and wine pairing books. Qantas is keen to showcase Australian wines so it’s no accident that the wine panel comprises three leading Australian wine judges, all of whom are also winemakers. Established years ago by wine visionary Len Evans, the panel is now made up of Vanya Cullen, CEO and award-winning chief winemaker at Cullen in the Margaret River; Stephen Pannell, former chief red winemaker at BRL Hardy and now owner/winemaker at S.C. Pannell in McLaren Vale; and Tom Carson, former chief winemaker at Yarra Valley’s Yering Station who recently won the Jimmy Watson memorial trophy for his Yabby Lake Pinot Noir. They select a movable feast of more than 250 of Australia’s finest wines each year. “You never get the same wines on board for six months, which is a boon for frequent travellers and keeps interest in the wine list,” says Tom Carson. Air New Zealand’s wine panellists, John Belsham (winemaker, consultant and judge) and international wine judge Jim Harre, focus on the best New Zealand has to offer. The airlines follow a similar wine selection process. Invitations to submit wines for consideration are organised through an open tender process and the wine panels do blind tastings of up to 1000 wines a year. First they establish a short-list of wines based on quality, with final selections made on price, adequate volumes, and diversity of varieties, wine styles and regional offerings. Of course, all the airlines brag the most about their first and business class lists, which are rather like couturier runway shows that set the course for the ‘ready to wear’ fashions for the rest of us in economy. In fact, studies reveal that champagne tastes fantastic in the air. “It’s the bubbles that give champagne its flavour and they come out more easily at altitude,” says Air New Zealand’s John Belsham. But there is also good news happening in the back of the plane. Those same wine judges spend more time picking wines for economy class than they do for the pointy end. They’re passionate about plucking excellent price-to-quality-ratio wines from small wineries rather than large commercial operators. First class is where you will find the trophy winners and big brand names, which, in the case of Singapore Airlines, means Second Growth Bordeaux like Château Cos d’Estournel, Grand Cru Pinot Noir from Burgundy such as Louis Latour’s flagship Château Corton Grancey, and Australasian icons such as Cloudy Bay Sauvignon Blanc from Marlborough and Petaluma Chardonnay from the Adelaide Hills. As for Qantas first class, there are icons like Tyrrell’s Wines Vat 47 Chardonnay and Clonakilla’s Shiraz Viognier. And there are also remarkable cult wines such as Yarra Valley’s Mount Mary Quintet and Hurley Vineyard’s Hommage Pinot Noir from the Mornington Peninsula. Across the board, the wines selected for business class are more edgy or, in the words of Qantas wine panellist Vanya Cullen, “discovery wines from up-and-coming boutique producers that offer great quality”. In Singapore Airlines business class you’ll always have a Bordeaux Cru Bourgeois, such as Château Labadie Médoc, and boutique finds like a Lionheart of the Barossa Shiraz or perhaps an outstanding Rioja from Spain. Qantas business class focuses on unique varieties as well as smaller labels, which are benchmarks for their regions and styles. Those in the know will appreciate the likes of Mac Forbes Seville Chardonnay from the Yarra Valley and Chalkers Crossing Shiraz from Hilltops, NSW, which embody the Australian winemaking landscape much better than large corporate wine companies. And if you don’t know them, know at least that these are boutique trailblazers whose wines are well worth your time. While Qantas may excel at uncovering some of Australia’s winemaking gems, Air New Zealand has the most informative wine guide with maps and explanations of the country’s wine styles and wine making regions and even information on how and when to visit. The Qantas Inflight Guide to Wine, on the other hand, assumes that anyone from New York or London knows the difference between the Hunter Valley and the Clare Valley. Although Air New Zealand doesn’t have first class, its business class list combines famous wines with fabulous boutique offerings. Of course, there are the expected sauvignon blancs from Marlborough and pinot noirs from Central Otago, but more interesting are discoveries like an Urlar Pinot Noir from the lesser known Wairarapa region and a savoury Bordeaux blend from Obsidian Vineyard on Waiheke Island. As for economy class, the airlines take a range of approaches to deliver good value, great tasting wines. Of course, weight restrictions are a factor. Singapore Airlines and Air New Zealand still serve their economy class wines in full-size 750ml bottles. 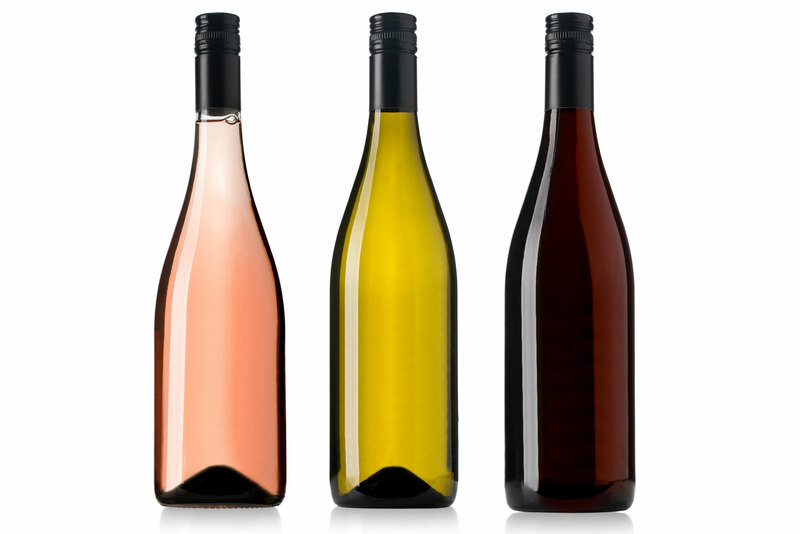 Qantas, on the other hand, buys high-quality wine in bulk, much of which come from small wineries whose wine has never been served on a plane before, and arranges for it to be packaged into 187ml plastic bottles. But a wine list is only as good as the staff who serves it. Qantas has a Sommeliers in the Sky program where the staff is given basic wine training and first and business class stewards have two further levels covering information on wine varieties, styles and terminology. Singapore Airlines has a similar basic program with advanced courses conducted by wine professionals. Crew with additional passion and certification can also become Air Sommeliers. And just how does altitude affect all this wine? According to Air New Zealand’s Jim Harre, who authored a research paper on the topic, air pressure changes the way wine presents in the glass with aromas becoming more obvious with less air pressure at altitude. With lower humidity we salivate less so our tastebuds are also impaired, although the carbon-fibre 787s and A380s make this less of an issue. It’s clear none of these wine lists has merely been thrown together. Instead, it is a rigorous selection process in what could be called the world’s biggest hidden wine market. Singapore Airlines, for instance, serves about 2.1 million bottles of wine each year, while Qantas invests over $19 million in the Australian wine industry each year. So whether you are a wine connoisseur or someone who appreciates all life’s finer pleasures, long-distance flights afford an excellent opportunity to savour carefully curated wines put together by consummate professionals who source the very best they can at every price point. They certainly make for a wonderful flight.